Phono Select Records has been a mecca for Sacramento kids who want to pick up some great wax, put together a tape, or just hang out with Dal in the back. At this show, we plan to give back! 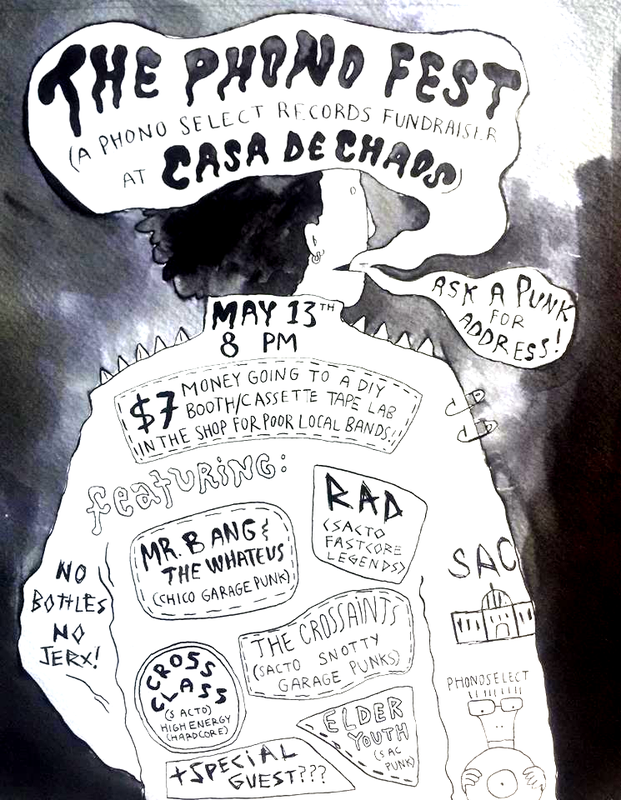 On May 13, from 8 PM to 11 PM, Casa de Chaos (ask a punk for address) is hosting The Phono Fest to benefit Phono Select! This will feature many awesome local Sac bands, such as RAD, The Croissants, Mr. Bang and the Whatevs, Cross Class, and Elder Youth! $7 cover, no bottles, no jerx. More here. Come support our fellow TUBEr in his first ever solo photography exhibition! 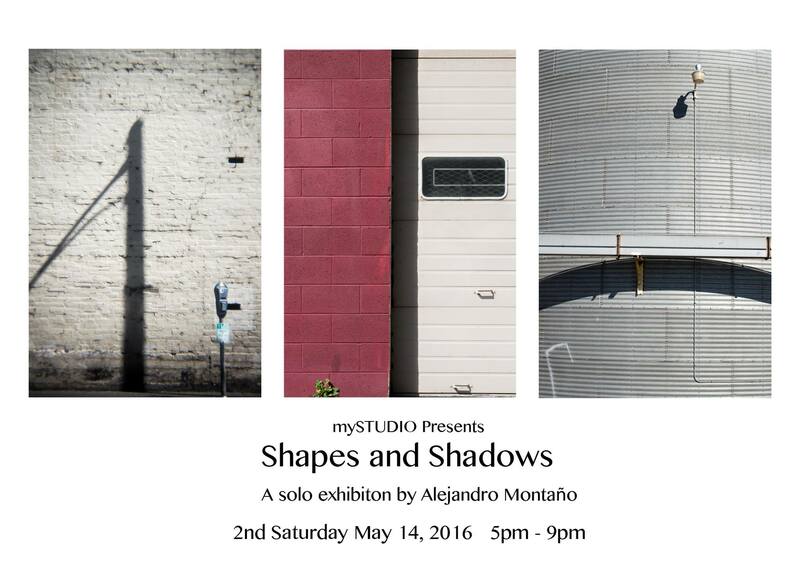 On May 14, 2016, from 5 PM to 9 PM, myStudio (2325 J St) will be hosting the Shapes and Shadows exhibition by Alejandro Montano. There will also be other works by Alejandro Montano featured throughout the exhibition. Find more info here. Freaks, geeks, and things you can’t unsee! TUBE is putting on our third annual Circus on Saturday, May 14, starting at 8 PM, at the Blue Lamp (1400 Alhambra Blvd). There will be games, tarot card readings, a costume contest, multiple performances by some of Sac’s favorite freaks, and more! Come get weird with us! $10 cover. 21+. Find info here. On Sunday, May 15, starting at 5 PM, Fire Retarded, BLHANS, and Boy Romeo are playing at The Press Club (2030 P St)! 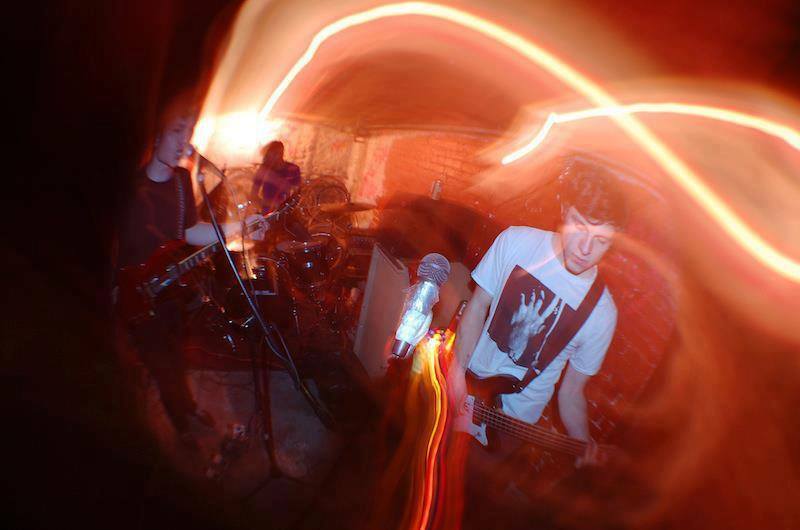 It’s Boy Romeo’s first show, featuring members of Charles Albright Band, Satan Wriders, and Drug Apartments. All presented by Pleasant Screams! 21+. Find more here. This event is so awesome that we think it describes itself. On Tuesday, May 17, from 7 PM to 10 PM, The Rink (2900 Bradshaw Blvd) is hosting their annual Gay Skate Night! Not limited to just gay people, other queers and supporters are welcome as well. Tickets are $15 including entry and skates, but bring your own skates and pay less! Find information here. Tags: Alejandro Montaño, Art, Blhans, Blue lamp, Boy Romeo, Casa de Chaos, Charles Albright Band, costume contest, Cross Class, Dal Basi, Drug Apartments, Elder Youth, Fire Retarded, games, Gay Skate Night, Mr. Bang and the Whatevs, Music, myStudio, phono select records, Pleasant Screams, punk, RAD, Sacramento, Satan Wriders, Shapes and Shadows, shows, solo show, tarot card readings, The Croissants, The Phono Fest, The Press Club, The Rink, things to do, TUBE's The Circus, TUBE. Magazine, Vi Mayugba. Bookmark the permalink. Previous post ← A Gesture for VÉRITÉ.